When you open yourself up to others you can build stronger relationships, here is a fun Mad Lib that you can do at a party or for a year-end team building event. Take-away: Open up to others to find more about yourself. Here are my answers! “In 2013, I finally chucked my collection of old t-shirts. I’ll never tell how long I’d had it. The most delicious thing I ate in 2013 was Brick Mac & Cheese, soooo yummy. Last year, Michelle Hensel was my biggest fan. Thanks, boo! Because I rocked growing the chamber membership, in 2013 I will treat myself to vacation somewhere warm. Too bad the song Hit Me With Your Best Shot can’t start playing when I walk into a room. The nicest thing someone said to me last year was that I was the meanest nice person they had ever met. My happiest nonprofit moment was helping connect nonprofits in our community to each other and potential donors. But I did it anyway, and I felt so AMAZING to see it grow by 653%! (Adapted from Self, January 2012, Pg 22). Next, I want to enjoy it! This year, I will reserve more time for ME and less time for COMPLAINERS AND WHINERS. December is the nonprofits time to shine, and while it seems wrong to “Take Advantage of Christmas” that is exactly what every nonprofit should be doing. In 2012, it was expected that the average American would spend $854 on gifts for friends and loved ones. It should come as no surprise that the average cost of gifts is so high. With advertisements for big sales everywhere, there is a greater chance for overspending. According to an article released by MSN in December 2011, American parents planned to spend an average of $271 per child on Christmas gifts. One in 10 parents said the plan was to spend over $500 per child. While this is just an average, American families can definitely spend an astronomical amount of money on Christmas gifts. * Also not surprising according to a national survey, 70% of Americans would welcome less emphasis on gift giving and spending. Middle-class Americans give a far bigger share of their discretionary income to charities than the rich. A report by The Chronicle of Philanthropy showed that households that earn $50,000 to $75,000 give an average of 7.6% of their discretionary income to charity, compared with an average of 4.2% for people who make $100,000 or more. In a survey by Ask Your Target Market, 57% of respondents said they were donating to charity in some way over the holiday season. Of those who do, 46% said they make a monetary donation directly to an organization, 64% donate to a third party like a bell ringer or a store that collects donations for a charity at checkout, 24% buy gifts for people through a mitten tree or adopt-a-family program, 63% donate items like home goods or nonperishable foods, and 22% donate time by volunteering. I could go on all day with these, but the point wouldn’t change. You should capitalize on the season! Since we are right in the middle of the season I am asking you to think about what your organization could be doing right now that would help move your organization forward. For example, I know a therapeutic riding center that is doing horseback tours through a trail of lights at their center. This is a great fundraiser, it brings people to the center, and gives them a chance to share what they traditionally do for the community. In addition, it gives parents a chance to create an experience that is not about a gift, it happens at the perfect time of year, and it targets the middle class. This year in just a few evenings, they will raise more money than they do at any other event all year. So, my challenge for you is to take a look around in your community right now. 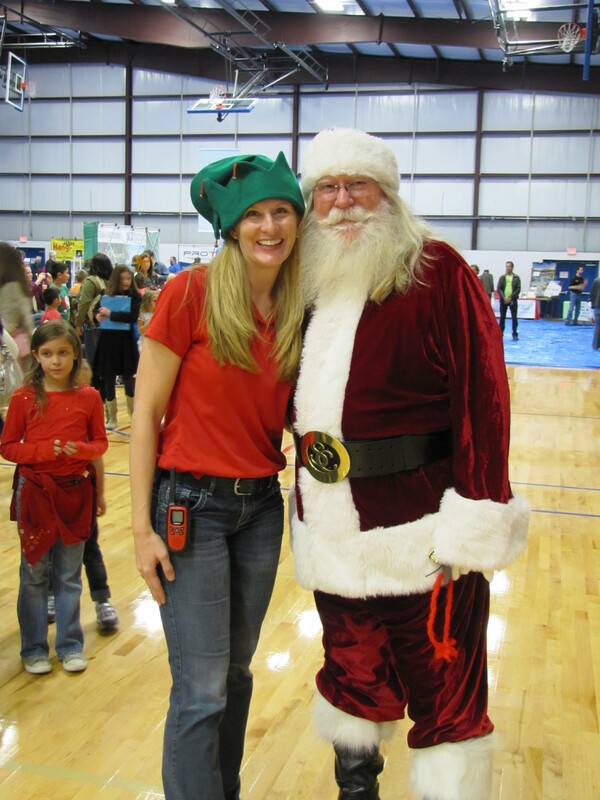 Does your community have a Santa breakfast, a trail of lights, a holiday stroll, etc…? Where could your organization fit into the season and further your cause? Take-away: Set up a team meeting next week to brainstorm. Now is the perfect time to be thinking about what you could have been doing and start preparing for next year.